September is always a good month to harvest new whiskies. Here is a selection. Another non vintage Glenrothes, a totally revamped Royal Brackla range and a new Ardbeg Supernova to celebrate the return from the cyber world of the experimental Space Ardbeg. Nose: Fragrant. Honeycomb, tangerine, an earthy note (humus, wet leaves). It gets fruity on time. Blackberry, touch of pomegranate. Oak is staying in the back, gently framing the citrus and honey character. Autumn fruit shines through with a dash of water. Vanilla slowly swirls up. Palate: Smooth and silky at start then drying on a crisp spicy outburst. Creamy orangey custard then a pepper and ginger spiciness. Water brings out oaky notes. Finish: Medium long, soothing on a delicate nutty note (fresh almond). John Dewar & Sons (Bacardi) recently launched a range of Royal Brackla, an underrated speyside distillery. 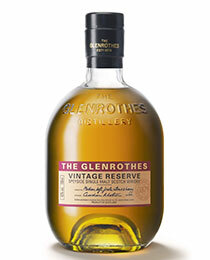 Three ages – 12, 16 and 21 – all finished in first fill sherry casks. the influence of sherry is more obvious in the 21 year old but never overwhelming. The distillery character – grassy and fruity – always shine through. 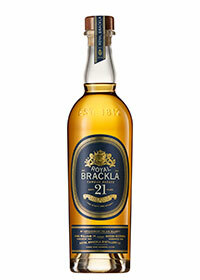 The 21 year-old is particularly outstanding. Nose: Grassy and fruity. Meadow flowers, angelica, drying grass. Ripe banana, dried apricot. Develops on sweet bakery notes. Banoffie pie. A hint of garden mint in the back. water brings out a floral note and also a touch of new leather. Palate: Round and velvety. Full mouthfeel. Summer stone fruit. Apricot and peaches, drying on ground ginger. Water tends to make the palate watery. I would avoid it. Finish: Dry, ginger with a nutty aftertaste. To pair with a bakewell tart. Nose: Grassy and sweet. Meadowsweet flowers, toasted brown bread, fresh apple juice. A hint of grilled coffee beans. Getting floral on time. Hint of wood smoke. Palate: Crisp and lively. Toffee apple, ginger, a touch of coconut. Good integration of oak and fruit. With water touch of aniseed. Nose: Rich, complex, tantalizing. Crème brûlée, chestnut purée, candied lemon. Oak is intertwined with fruit. Some autumn fruit (medlars, pears and apples). A biscuity note. In the back, a meaty note (chicken broth). Palate: Silky. White chocolate and butterscotch. Dried apricot, a hint of date and walnut. Sherry underlines the distillery grassy character. Soft spice. Avoid water. I would have liked to taste that whisky at 46%. To pair with an old Comté or cheddar served with fruit. Nose: Very phenolic. Creosote, bonfire, smoked duck breast. Smoky grist. That mineral touch, typical of Ardbeg. On time, the eucalyptus scent of bog myrtle raises. Cold ashes. Palate: Very smooth and velvety. Oily, thick, displaying a wave of marine notes: brine, smoky seaweed bonfire. A refreshing aniseed note (chervil, aniseed seeds). Some citrussy flavours (grapefruit juice). Finish: dry, smoky with a sweet chocolate come back (white chocolate) and a touch of dried coconut. A supernova on the peaty side. Definitely. Colour: Gold. Summer morning sun. Nose: Citrussy and sooty. Lemon posset with a sweet vanilla custard note. Some herbal and grassy notes too. Lemon grass. A hint of caramelized pineapple. Touch of brine. Cold ashes. Palate: Silky and fluid. Fresh lemon flavours. Lemon drop, lemon curd, lemon yogurt… Smoked fish, Ginger ale. Finish: Dry and smoky with water a floral character. A typical Kilchoman, refreshing, phenolic and citrussy. Pairing: A spray on fleshy oysters.